What are the benefits of an inclusive classroom in this day and age? All students learn differently. This is a principal of inclusive education. One key teaching strategy is to break students into small groups. By using small groups, teaching can be tailored to the way each student learns best. This is known as differentiated instruction. In an inclusive classroom, teachers weave in specially designed instruction and support that can help students make progress. Kids may be given opportunities to move around or use fidgets. 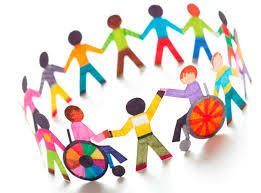 Inclusive classrooms are filled with diversity! This helps learners to talk about how everybody learns in their own way. They may find that they have more in common with other kids than they thought. This can go a long way in reducing stigma for kids with learning and attention issues. An inclusion class often brings speech therapists, reading specialists and other service providers into the classroom, which means that learners don’t have to be pulled out of their environment for these specialised services. The more techniques and methods are implemented in an all-inclusive environment, the better results for children, teachers and parents. 0 responses on "What are the benefits of an inclusive classroom in this day and age?"